New. 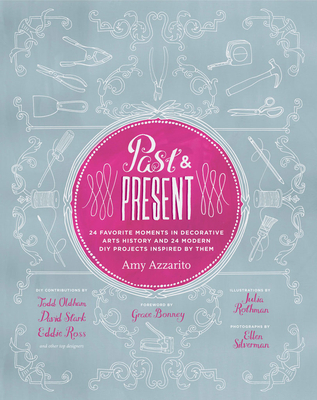 Past + Present is a collection of 24 pairs of essays and craft projects that explore the connection between decorative arts history and present day design trends. Illustrator(s): Rothman, Julia. Num Pages: 144 pages, colour illustrations and photographs throughout. BIC Classification: WKD. Category: (G) General (US: Trade). Dimension: 213 x 262 x 14. Weight in Grams: 676. 2013. 01st Edition. Paperback.....We ship daily from our Bookshop. Fine. Fast Shipping-Safe and Secure 7 days a week! Very Good. 1617690201 No CD Included. Access code may be previously used. Light dirt, wear, fading or curling of cover or spine. Good Binding. Minimal, if any highlighting or writing. Cover has used book stickers or residue.